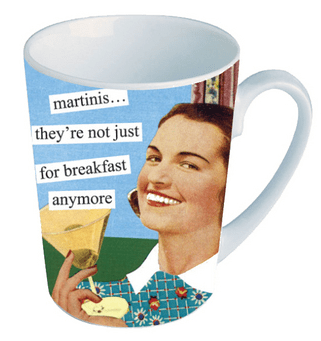 Martinis...They're not just for breakfast anymore. Classic photos of glamorous ladies from the 1930s, 1940s and 1950s grace this coffee mug with modern attitude. Ceramic mugs hold 11 oz and are microwave and dishwasher safe.